The origins of the company date back to 1985, when Federico and Claudio Bonomelli, together with a friend, founded a fibreglass goods manufacturing company, made to their design, by a local craftsman. «The side panels of the Gilera KZ have been our first project. We exhibited them at the motorbike show in Milan and proved a success for us». The technical director Federico Bonomelli remembers the beginning of the Mako Shark company, that was founded right in the middle of the 1980’s boom period. It gradually began to specialize in the production of motorbike parts and accessories in the course of the subsequent decades, its evolution being in line with the expansion of the company. The current core business consists in the manufacture of articles through the use of prepregs made of thermosetting resins with fibre, carbon, glass and aramid fibres. 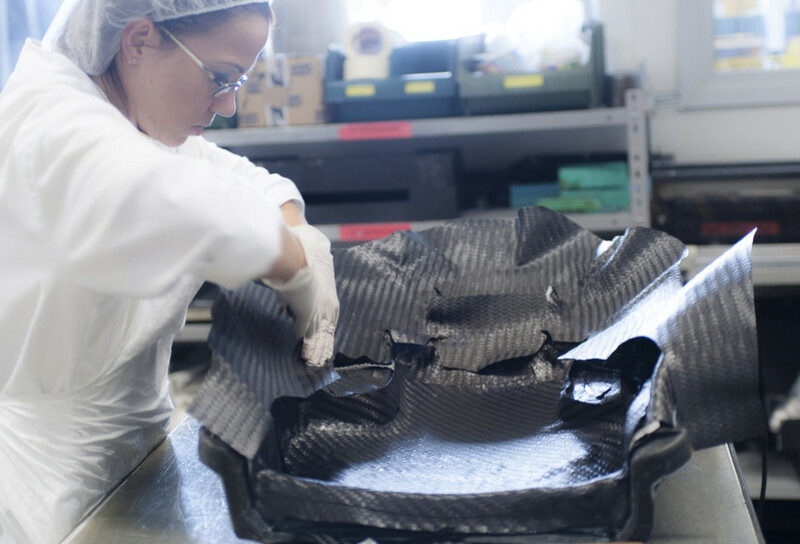 There is a department specifically involved in the production of cold polymerized fibreglass and carbon parts. Firstly by virtue of their excellent mechanical characteristics, which are comparable, if not superior to those of metals, although their specific weight is lower. One of our daily challenges is that of finding suitable kinds of fibre and resin, as well as mixing them in the right percentages according to the article involved. By optimizing the production process it is thereby possible to achieve excellent technical performance at competitive price levels. The engineering is one of the most complex aspects of our projects. 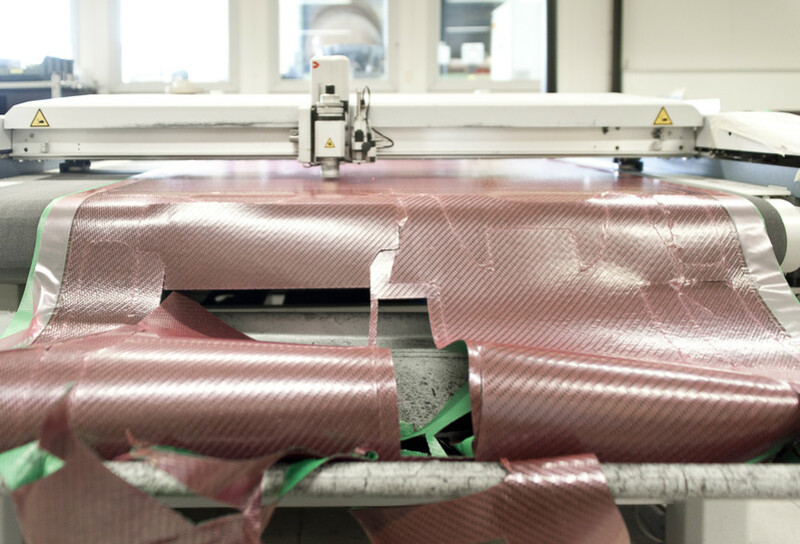 As the fibreglass and carbon textiles are not isotropic, they do not have a symmetric function on the three axes, it is therefore necessary to study the direction of the fibres according to the field lines. Software nowadays is a big help in this. 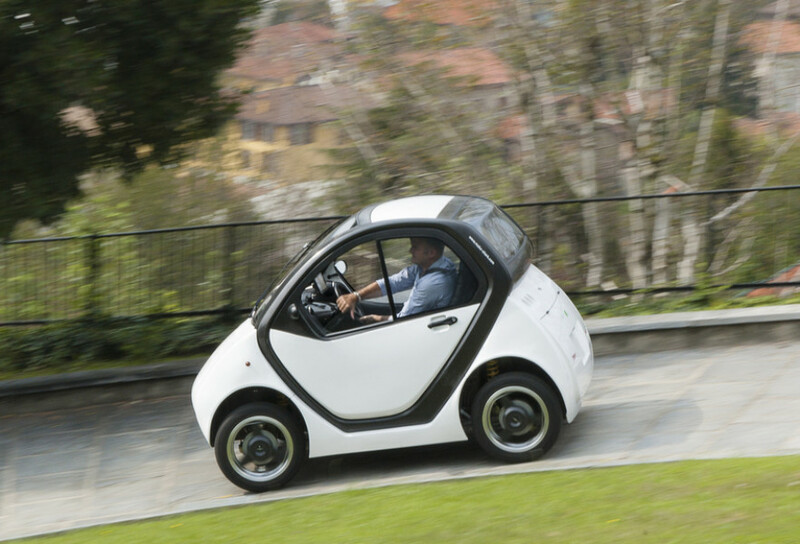 They can be used wherever weight reduction is required. For example in order to manufacture a small radome (a protection covering for military radio antennas) we used a fibreglass compound, which is a material with an electromagnetic transparency ideal for the field of telecommunications. Again in the military sphere we have developed the ballistic protection of a tractor buit by an Italian company. 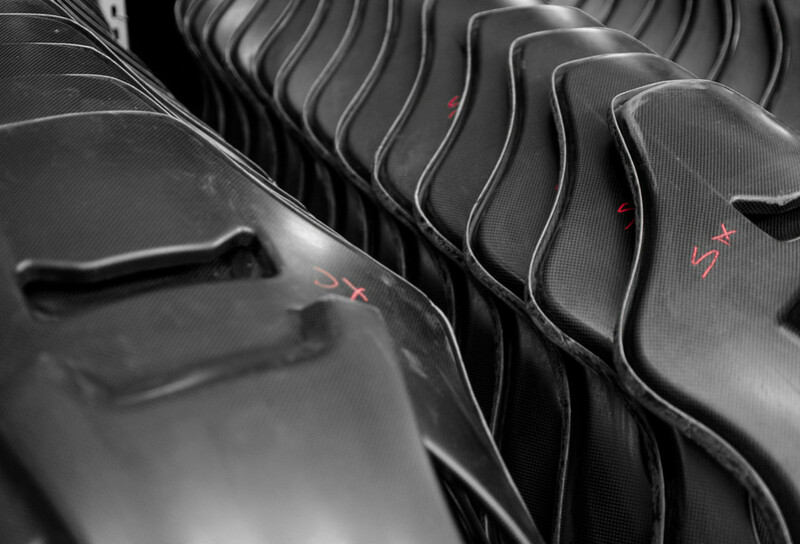 The seats of the Tiger Eurocopter Tiger, are also our own project, as are the seats of certain supercars. 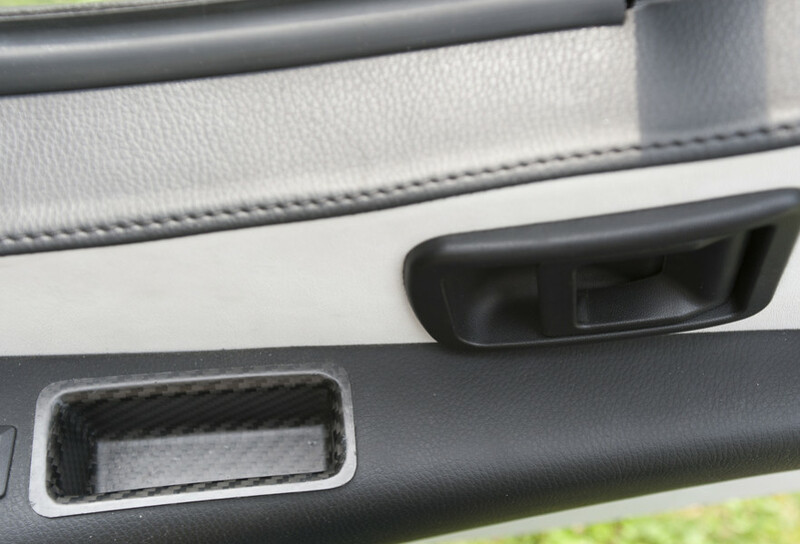 Our core business predominantly involving the aeronautical, defence and automotive sectors, and we are in fact ISO 9001 and EN 9100 certified and we also have the authorization for the production and export of ballistic protections. In what other fields do you operate aside from the aeronautical and transport fields? 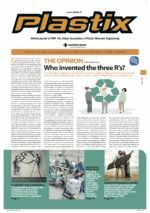 We have created some truly unique articles in the furnishing field, which have been classified as artistic or collector’s items. We have also supplied parts of the furnishings of the Palace Athene restaurant in Paris and of the reception of the Hilton hotel in Kiev. While we are currently working on a project in the field of cranioplasty, exploiting some of the intrinsic mechanical properties of carbon, especially its radio-transparency which makes it invisible to X-rays. It is a carbon plaque for implantation in skullcap, which is simpler and safer than one made of ceramic material. The starting point being the mathematics of the patient’s skull, obtained by means of a CAT scan. It takes only three screws to secure it. This way it is possible to stop the epileptic episodes that occur during hospitalization, caused by the irregular pressure within the skullcap. For greater reliability, during the post-surgery stage we have developed and patented special segmented helmets, so that they can be adapted to the different head sizes of the patients and to all kinds of medication. We also work with certain rehabilitative medical institutes, that are currently developing machinery, which will allow the disabled to move independently; as compounds allow for rapid and fluid movements with the minimum applied force. How important is the labour element in your workmanship? 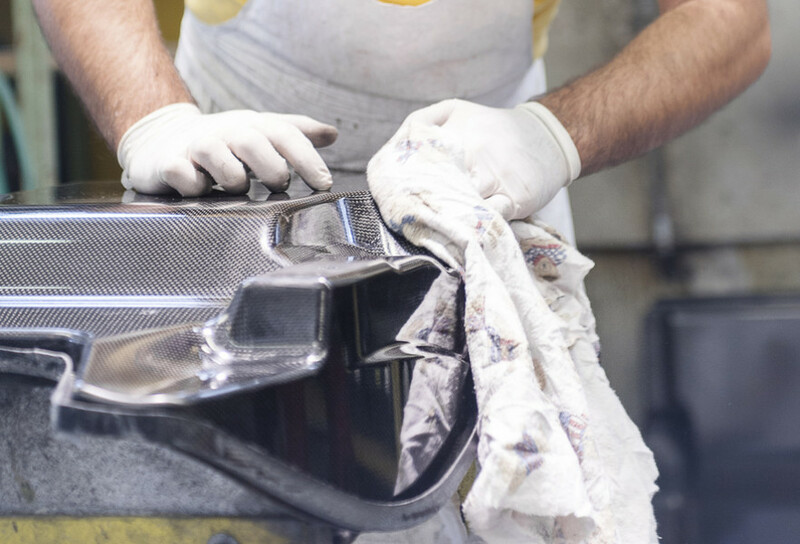 Many of our items are almost crafted, but it is obvious that labour is needed when it is necessary to combine high-tech features with impeccable aesthetic look, Our company has been the first in Italy to use mass production in the manufacture of high mechanical performance seats for the automotive sector. No less than 160 parts for the seats of the Ferrari 430 Scuderia leaving our factory in Dolzago each day, the parts consisting of a lower support, back, five casing elements and inclination regulation knob. Made from prepreg carbon fabric, with excellent mechanical features, in full compliance with the specifications of the Ferrari company of Maranello. 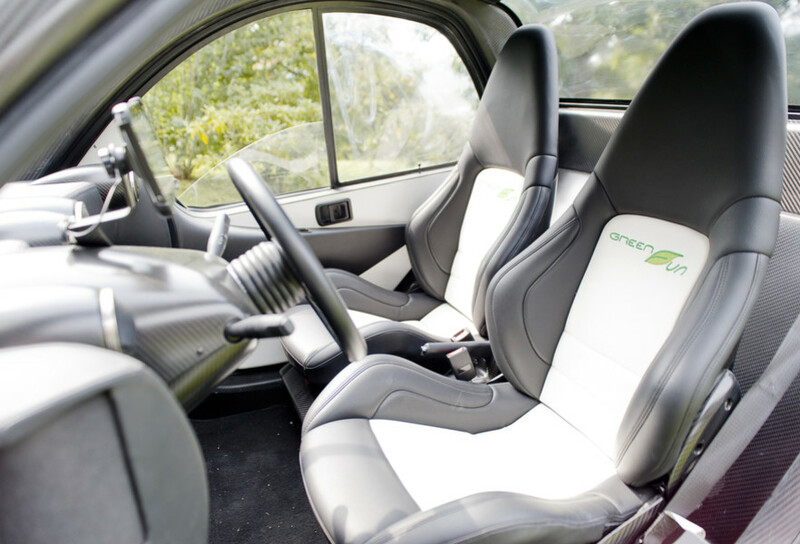 Before that these kinds of seats were only installed on racing or rally cars, that is in a limited number. What kind of technology was used in their production? 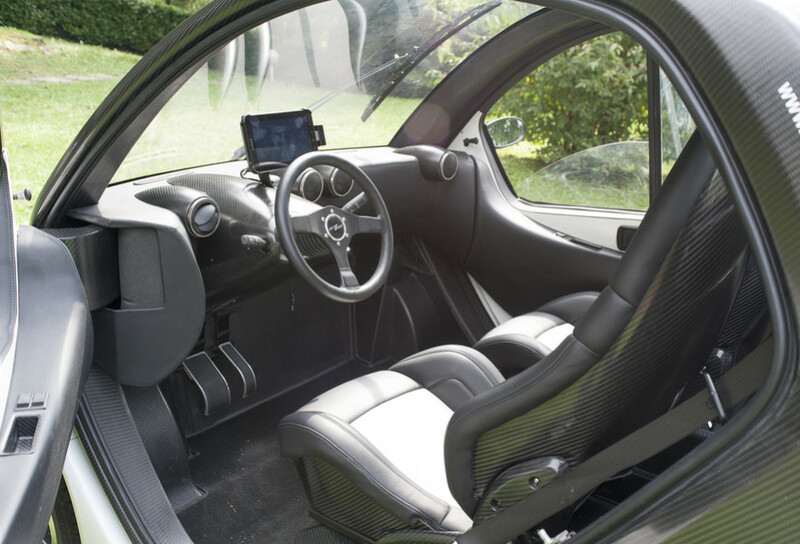 When we received the order for the Ferrari 430 seats, we had very tight delivery times, which we would never have been able to meet if we had of worked using manual lamination and autoclave. So that we designed and built two new kinds of presses in-house (one compression and one elastic-buffer version), that we still use today. The original version having evolved with every new order: for example by using mirror polished aluminium moulds, we are able to obtain items that do not required varnishing, such as the seats of the 500 Tributo Ferrari. Do you also produce carbon and aluminium hybrids? Aluminium has isotropic features and is an excellent conductor, and can be well managed with numeric control machines. Each material has positive features: what is important is to identify the correct application. To give an example, we have made articles with a nest of aluminium and carbon skins in order to manufacture naval consoles for the Frem frigate ships: from the 370 kilos of milled from solid aluminium of a traditional console we have succeeded in reducing the weight to 65 kilos. 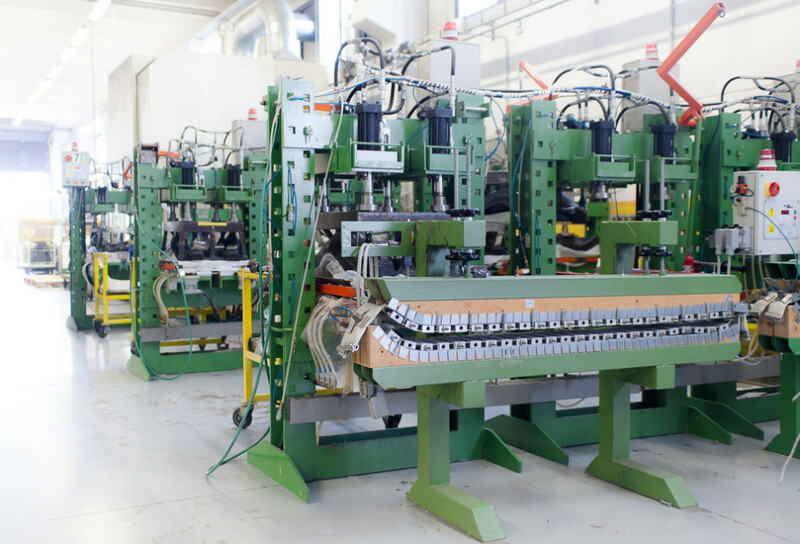 As well as achieving major weight reduction we have also succeeded in significantly improving the performance of the article, and in fact it was the only one to have passed the physical tests conducted by the military laboratory of La Spezia. We have also recently developed the console of the Gunship system, weighing a mere 24 kilos. 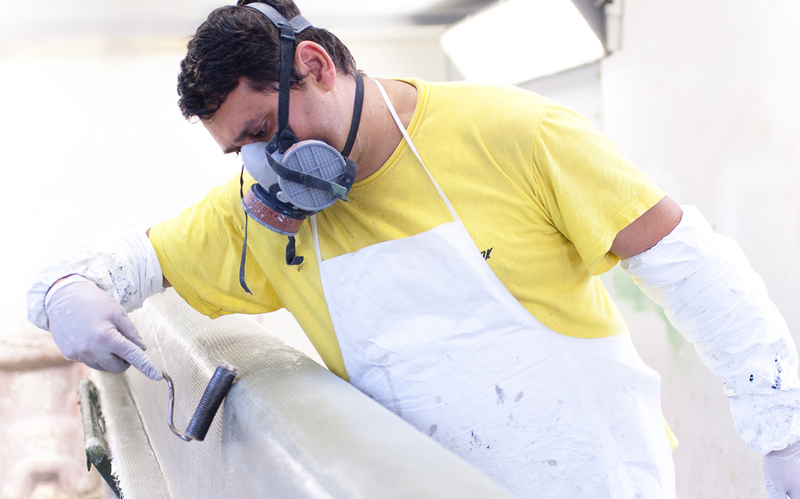 Do you use other types of fibre aside from fibreglass? Yes. The ceramic fibres are very interesting, because as well as having the benefits of lightness and mechanical resistance, it also boasts excellent resistance to fire and high temperatures. 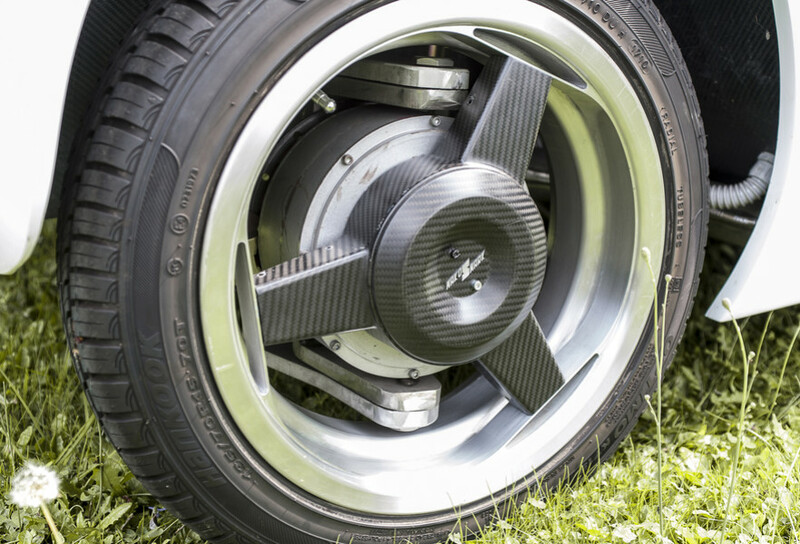 Making them ideal for components such as the brakes of the Formula 1 and Gt cars, which on braking can reach temperatures of even above 600 °C. Compound materials have been at the heart of your operations for almost 30 years. Will they continue to be so in the future? If we look back, there have been many advances and we have never turned back. 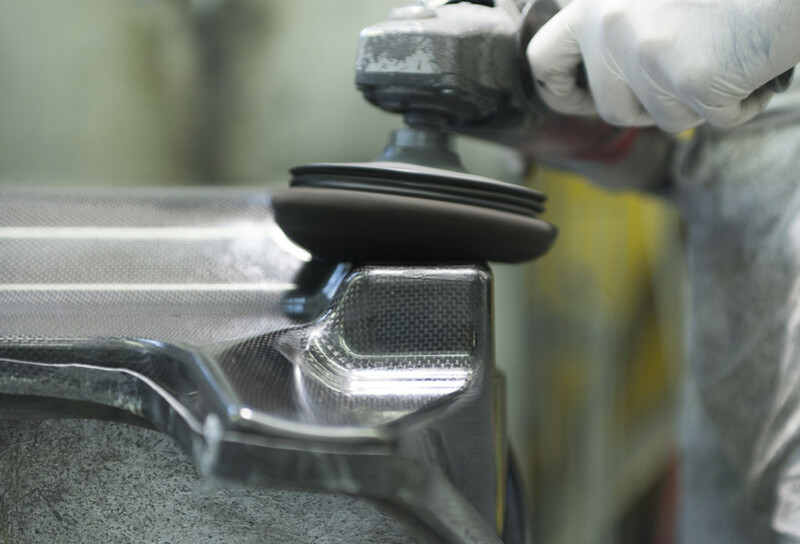 Today carbon fibre and compound materials assure greater freedom of form and mechanical performance levels than those of metals, but this does not mean that they can replace all metal; it being necessary to identify the specific materials best suited to each application. At Mako Shark each process innovation has originated from the requirements to be met. Apart from the numeric control machines, all the other have been designed “in house”, or tailor made by specialized companies. 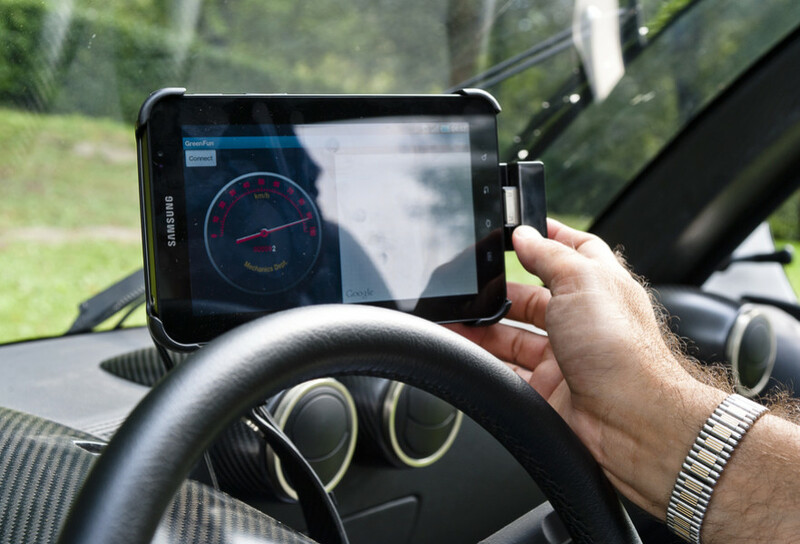 «The technological jump ahead has been possible through collaboration with Miki Aerospace of Erba (Como), that involved us in the manufacture of the parts for the Ferrari F40. We made parts using vacuum technology for them. 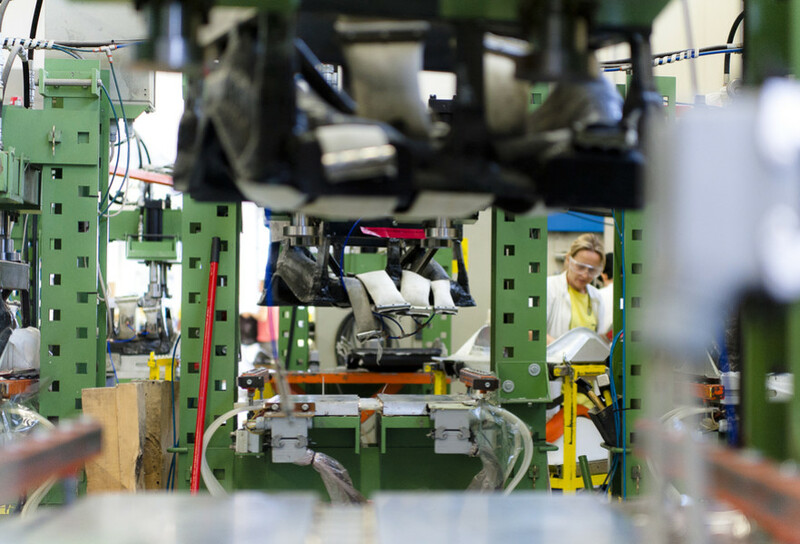 The production of spares for the ATR 42 aircraft also proved another decisive step. 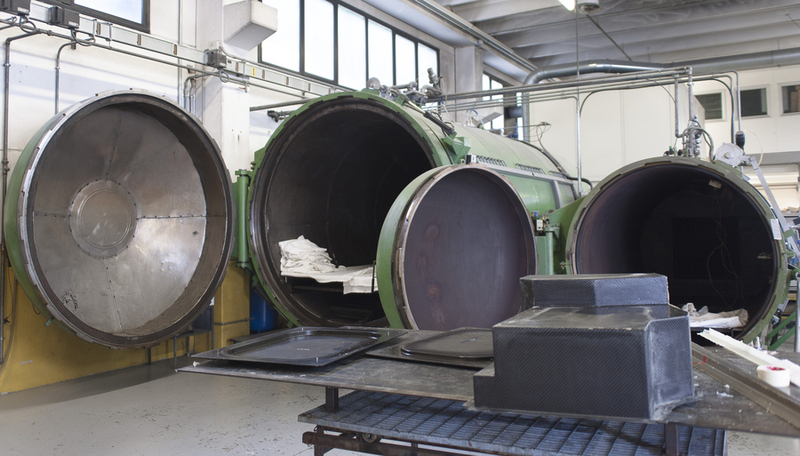 We built our first autoclave independently, and we began process kevlar glass and carbon. 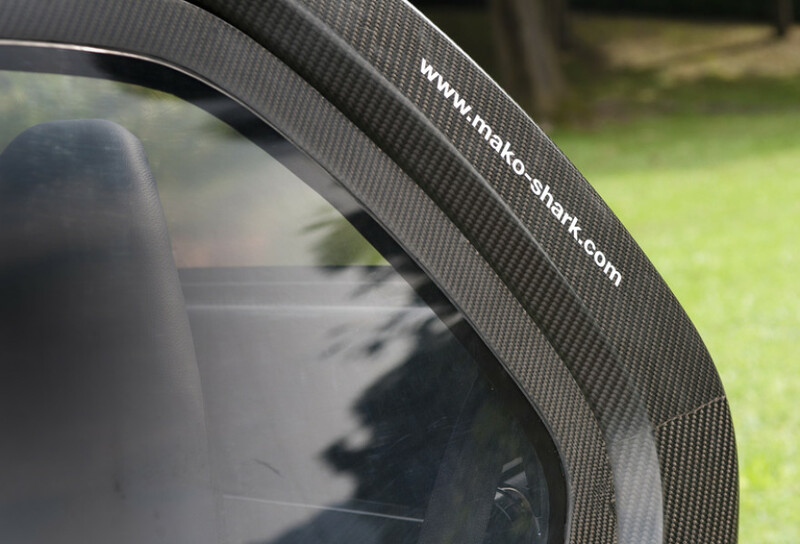 Starting from polyester resins we arrived at the vinyl-esters, thanks to their excellent mechanical resistance properties, and subsequently on to compounds pre-impregnated with epoxy and cyanester resins», explains the technical manager of Mako Shark, Federico Bonomelli. Today the company operates independently in each stage of the project. On receiving the client input, the technical staff then design the product right from the initial study stage, preparing models, moulds, equipment, CNC workmanship following three-dimensional modelling or finished element analysis, right up to the mass production stage. Mako Shark covers a surface area of 7,000 square metres in Dolzago (Milan, Italy), of which 1,800 are covered and used for the processing of prepreg and fibreglass compounds. The company has a staff of 30 people.